I have just finished reading the fourth volume in a remarkable history of nuclear weapons by the Pulitzer Prize winner Richard Rhodes. Along the way I have studied the story of the man called the 'father' of the bomb, the brilliant and enigmatic J Robert Oppenheimer and have paid two visits to Los Alamos, the weapons factory high on a mesa in New Mexico where Oppenheimer and his colleagues created the ultimate weapons of mass destruction surrounded by the breathtakingly beautiful New Mexico mountains. The story begins with "The Making of the Atomic Bomb", which describes the period from the discovery of fission in 1938 through the brilliantly creative period that saw Fermi and his colleagues create the world's first self-sustaining chain reaction in a graphite uranium pile in a University of Chicago squash court to the dropping of the bombs on Japan in 1945. 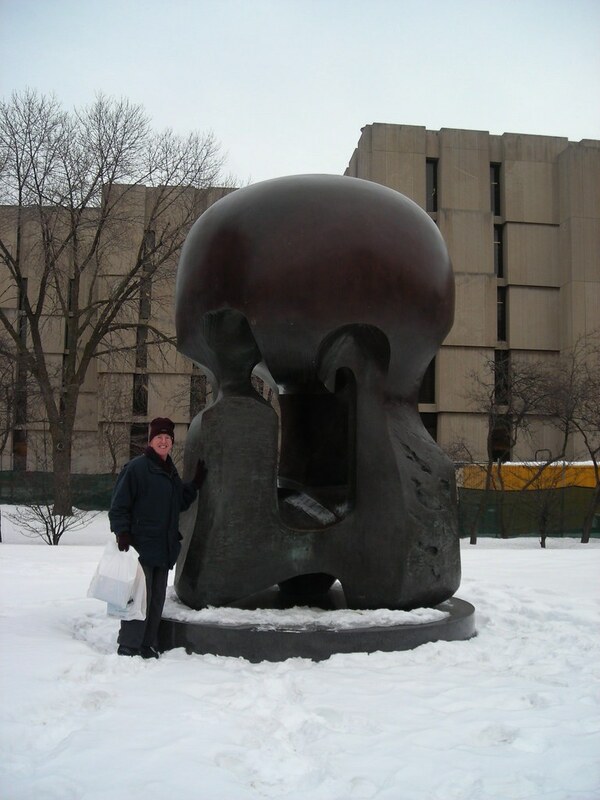 The squash court in Hyde Park, Chicago is long gone, but the site is commemorated by a Henry Moore scupture. I say "brilliantly creative" about this period because as an intellectual achievement the harnessing for warlike (and peaceful) purposes of the energy of the atom's nucleus stands as towering evidence of the ingenuity of man. 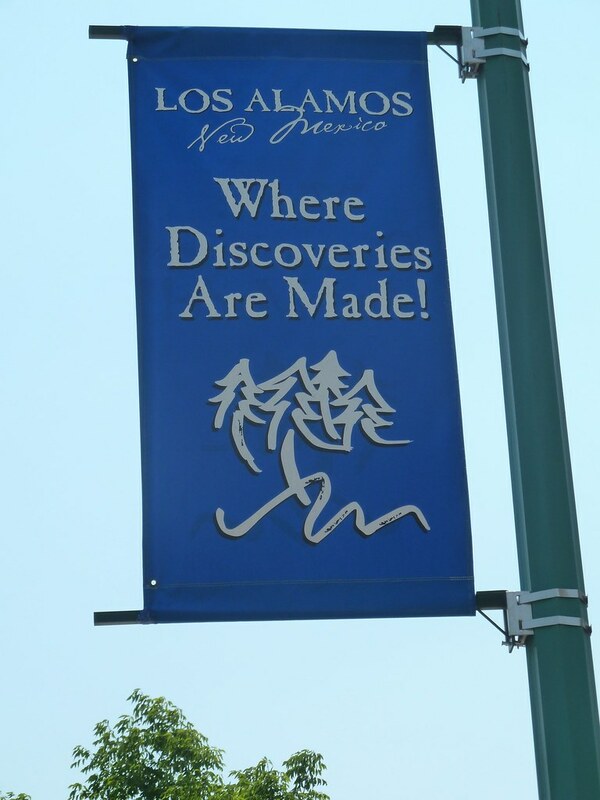 It is fashionable now to look on the scientists at Los Alamos as having struck some sort of Faustian pact to wrestle the secrets out of the atom, but in truth they were passionately concerned with defeating Nazi Germany, many of the European emigrees to Los Alamos having had to flee from the tyranny in their homelands. And for the great Richard Feynman and others it was simply one of the best times of their lives. The second volume, "Dark Sun" describes in great detail the development of thermonuclear weapons after the Second World War, both in Russia under the brilliant Igor Kurchatov and at Los Alamos. The leaking of secrets to the Russians during the war, famously by Klaus Fuchs (a favourite at Los Alamos and later Head of Theoretical Physics at Harwell in the UK), accelerated the Russian programme, but they would have got there anyway. Many, including Oppenheimer, argued against further nuclear weapons development after 1945, but by then the politicians had set their sights and missiles against Stalin's USSR and there was no stopping the insane build-up of nuclear weapons on both continents. This theme is continued in "Arsenals of Folly", which focusses on the attempts at arms limitation and the pivotal role played by Mikhail Gorbachev in negotiations, with an initially sceptical United States, to reverse the build-up of arms. This book also tells the story of the provocative military exercise "Able Archer" in 1983, in which the Americans rehearsed pretty well every stage of launching missiles against Russia short of actually doing it. Rhodes tells us how very close Russia came to being provoked into launching its own counter-attack, mistaking this exercise for the real thing. 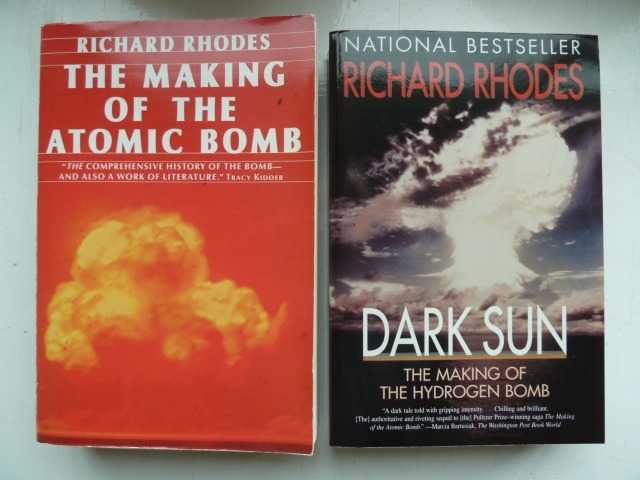 The final volume, "Twilight of the Bombs" is more hopeful, though the perils of proliferation of nuclear weapons are discussed, including South Africa (who voluntarily abandoned its nuclear weapons programme after testing a nuclear bomb - the only nation to do so), North Korea and Iraq, where Rhodes presents in detail the story of the missing WMD. But to return to Oppenheimer. 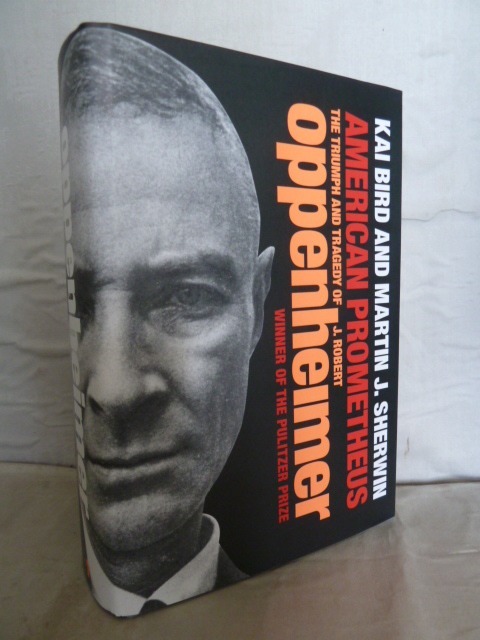 The best biography is "American Prometheus: the Triumph and Tragedy of J Robert Oppenheimer" by Bird and Sherman. 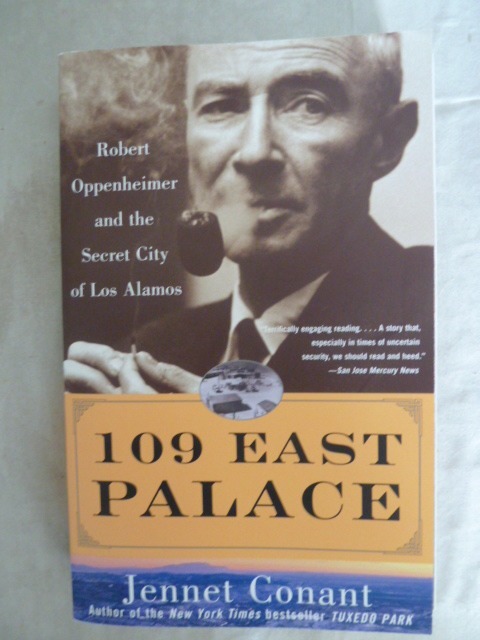 There is also a wonderful book by Jennet Conant, "109 East Palace" that tells the story of the house in Santa Fe that became the gateway to Los Alamos during the war years and its wonderful gatekeeper Dorothy McKibbin, hand-picked by Oppenheimer to "process" new arrivals to the secret city. 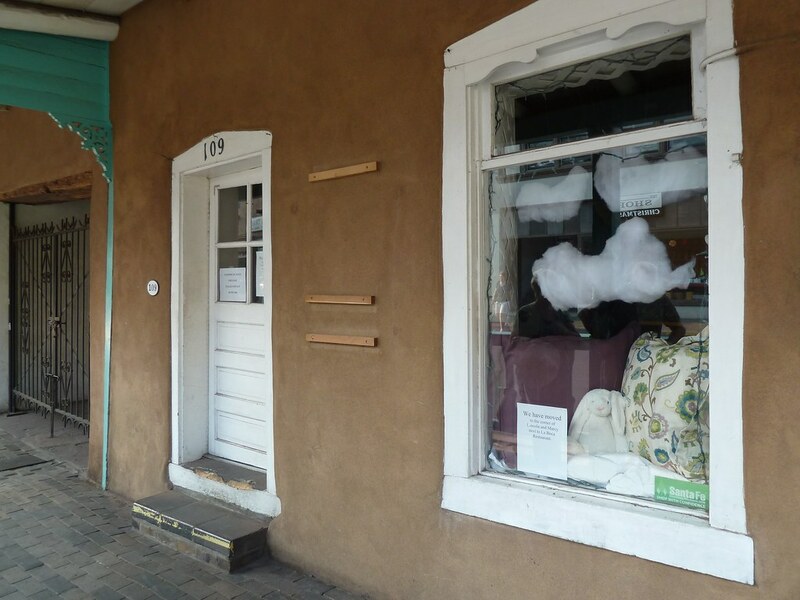 East Palace is a lovely street leading off the historic Santa Fe Plaza and it is difficult to imagine the thousands of physicists and engineers passing down the street to cross the portal to their self-imposed exile on the mesa. 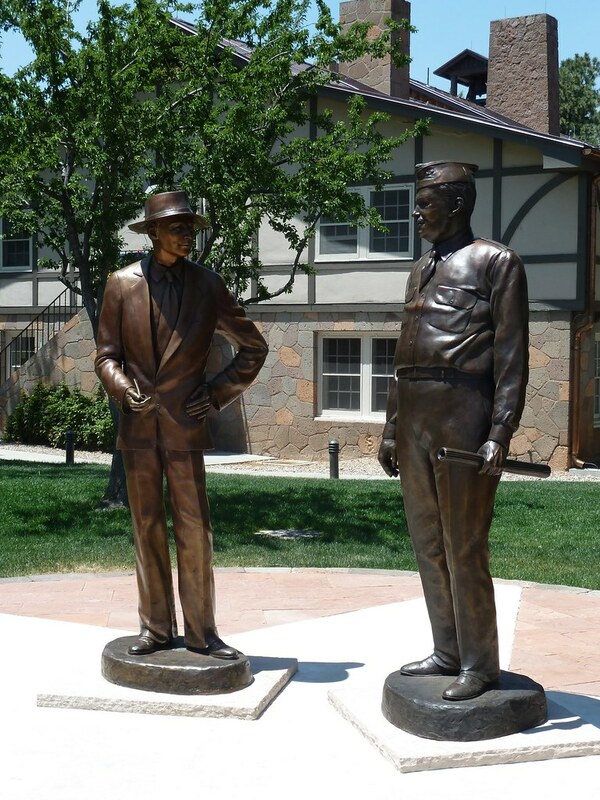 Oppenheimer is commemorated at Los Alamos by a statue of himself with General Groves, the army officer in overall charge of the project, and his house still stands on Bathtub Row. 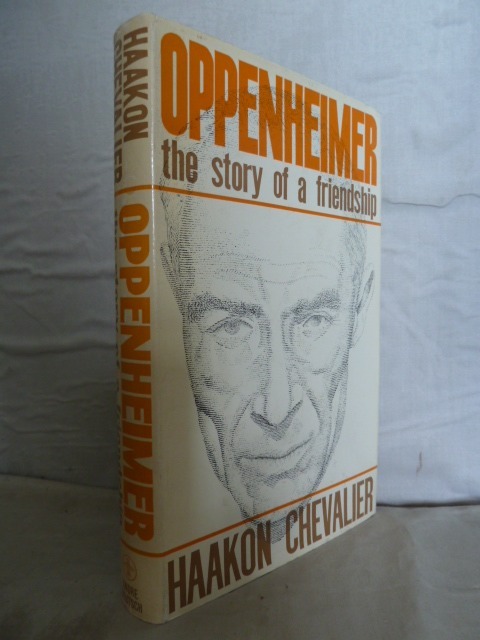 Oppenheimer had always had a poetical, mystical side and it is not surprising that his friends included humanists, artists and intellectuals of every political persuasion, many of them communists. 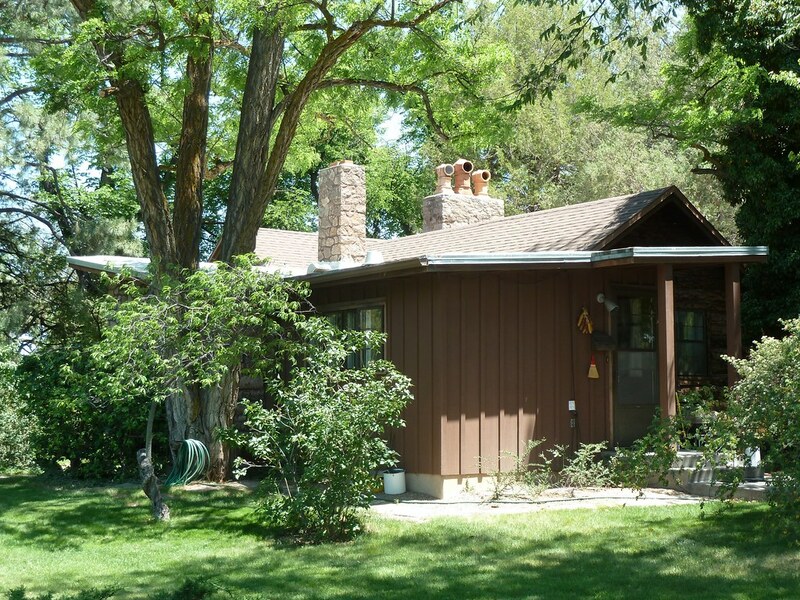 It was one of these, Haakon Chevalier, who, as reported by Oppenheimer some time later to General Groves at Los Alamos, had sounded Oppenheimer out in 1941 about passing information about the bomb to Russia, through a contact he knew. Chevalier, in his own account, denies any such request and he remained mystified as to why it was ever reported. Oppenheimer's accounts of the request (which, if it happened, clearly horrified him) were always vague and contradictory and this, more than anything else led to his ultimate humiliation in 1954, when his security clearance was removed by the Atomic Energy Commission (AEC) who deemed he was an unacceptable risk. This, and also, his arguments against further nuclear weapon development after Hiroshima and Nagasaki. His resistance to the hydrogen bomb, although shared by many of his scientific colleagues, would be seen by the FBI, CIA and others, in the days of Joseph McCarthy, the fanatical Wisconsin Senator, as attempts to sabotage American defence in the face of the Communist threat. 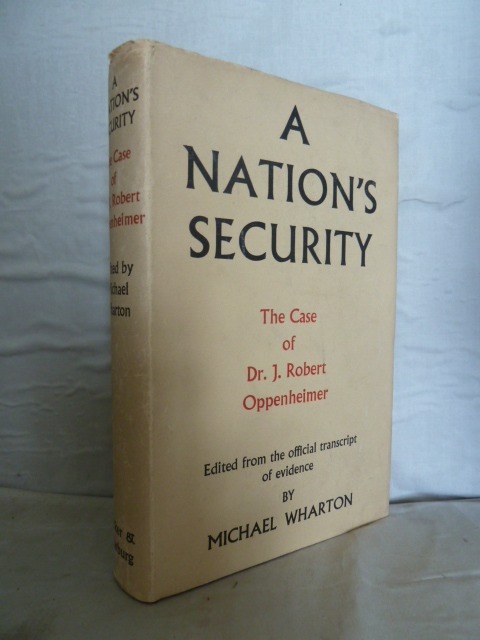 In late 1953, Oppenheimer had travelled to London to deliver the BBC Reith Lectures, again arguing for a more enlightened approach to world security and dialogue with communists. He followed this up by continuing to Paris to stay with Haakon Chevalier and his wife, well aware that his every move and telephone call were being monitored by the FBI. This was perhaps the final straw for an America gripped by the fear of the Red Menace and Oppenheimer was summoned in early 1954 to a hearing in front of the Personnel Security Board of the AEC. The transcript of this hearing, largely contained in Michael Wharton's "A Nation's Security", makes gripping reading, reminiscent of Arthur Miller's "The Crucible". A majority of two to one panel members recommended removal of his security clearance, a shameful betrayal by a nation of one of its most brilliant and loyal citizens. It was the Kennedy administration that finally sought to rectify this dreadful wrong by offering Oppenheimer the prestigious Enrico Fermi Award, of $50,000 for public services. President Lyndon Johnson presented Oppenheimer with his award on December 2nd 1964. Oppenheimer died three years later, to his death remaining an enigma. 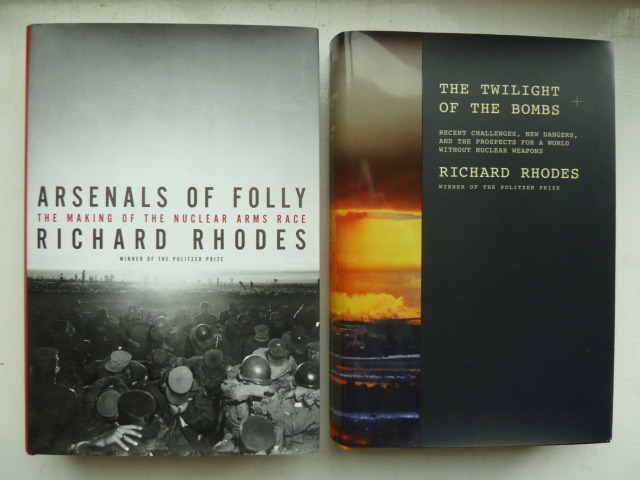 Having lived through the period of the cold war and discussion of deterrence and "mutually assured destruction", I would share Richard Rhodes' closing thoughts as he ends his magnificent quartet of books. In summary, these are that nuclear weapons must never be used and that as long as any nation state possesses nuclear weapons, other nation states will seek to acquire them. Both Neils Bohr and Oppenheimer saw clearly that nuclear bombs were not weapons in the military sense but instruments of genocide and control over the means to produce them must be exercised at a supra-national level. In the end the only rational conclusion is that total verifiable global elimination of such weapons is the only safe future.